Please accept this letter as Camp Sunshine’s unequivocal and total endorsement of Perspective Construction Management (PCM). We had the good fortune of recently working with the PCM team on a 7,000 square foot $1.4 million expansion onto our Family Activity Center. 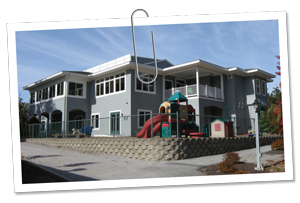 The project was a complete one, requiring the removal of a roof, and installation of steel support systems, before a second floor could be added to a building that was originally designed only as a single story. We signed the papers on the project in November 2007, allowing PCM only a short window of six months to complete the project. What none of us knew was the fact that those next six months would be some of the snowiest winter months we have had in years, making the removal of a large span of roof and the protection of the buildings interior a unique challenge. Nevertheless, the PCM team managed to very skillfully deal with the harsh winter conditions and complete the project on time, enabling us to move back into the building and get ready for the start of our program at the end of May. Throughout the course of the project, the PCM team impressed us with their attention to detail, engineering and structural knowledge, architectural understanding, and flexibility. They also proved to be very cost conscious, staying on budget while delivering on the quality and workmanship that they promised. While it was important to have a team that could deliver every step of the way, this is a group of people who were a pleasure to work with, and who we look forward to working with again on future projects. The fact that we miss working with PCM is a sure sign that we made the right choice when we chose them for our project. Finally, this is a team with a huge heart. Months after their work with us was done, we approached PCM to help us build a house of jack-o-lanterns for our pumpkin festival (our largest fundraiser). They very enthusiastically responded and offered to donate all of the materials and labor for the project. They didn’t have to do it, but they chose to because they care about the work that we do. At the end of the day, PCM is a team that cares!